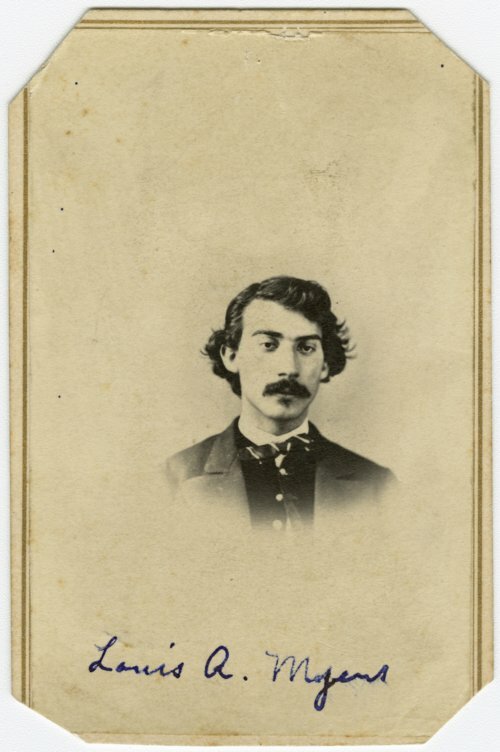 This is a carte-de-visite of Louis A. Myers who lived in Valley Falls, Kansas. He was a member of the Kansas State Senate, a Republican, representing District 5, serving from 1877-1879. From 1883-1884, he served in the Kansas House of Representatives, a Republican, representing District 7.